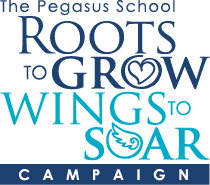 The Roots to Grow, Wings to Soar Campaign was launched to build a dedicated science and technology facility to enhance the programs and curriculum for all students. The plan includes the upgrade of the School’s current classrooms, which will not only allow for more space for our students to learn, but more opportunities for new science and technology electives. We will break-ground for this significant building project in June, 2019. The Roots to Grow, Wings to Soar Campaign continues to raise funds to support this major milestone. Contributions will significantly impact the lives and education of today’s students, as well as a future generation of Pegasus families. If you would like to join us in this transformative movement, please click here to give. Thank you for your gift! The Capital Campaign Committee is composed of a Committee Chair, the Head of School, the Director of Advancement, and other Board and non-Board members. The committee is responsible for helping to build community connections in the support of the development of appropriate financial resources to fulfill the Roots to Grow, Wings to Soar Campaign. There are many ways of making a gift to the Roots to Grow, Wings to Soar Campaign, each of which has distinct benefits. By making a Pledge, gifts to the Campaign may be paid in convenient payments for up to three to five years. Initially you would specify a total pledge amount, then payments are made at your convenience, either monthly, quarterly, semi-annually or annually. Most gifts to Pegasus are cash contributions. While cash is the most common type of charitable contribution, gift of securities may be a wiser choice. Gifts of appreciated stock and/or securities represent a two-fold savings opportunity. Donors avoid paying capital gains tax on the increased values of their stocks. In addition, donors receive a tax deduction for the full market value of the stock on the date of the gift. Many employers sponsor matching gift programs and will match charitable contributions made by their employees. If your company matches, you may be able to access the forms directly through your company’s website. The impact of your gift may be doubled or more. What do teachers think about this project? The faculty is widely supportive of campus improvements. The improvements will allow them to broaden their creative approaches to teaching and will enhance how faculty members develop curriculum. Why is important that Pegasus make these improvements? We’re beginning to bump our heads against our programs from a facilities perspective and the Board is focused on efficient improvements that directly enhance the student experience at Pegasus. Why is now the right time for Pegasus to take on this project? We have not built a building on campus since 2000 and, as our Board Chair shared last year, we are in the strongest financial position we have seen in years. Parents are increasingly interested in investing in Pegasus, and there’s an energy among parents, and volunteer leaders who have worked tirelessly, to create a plan to move things forward. Construction for Phase I begins June 2019. The construction and building from Phase I will be complete and ready for use in September 2020. What parts of the project are included in Phase I? There is a small endowment component in Phase I that strengthens Pegasus’s sustainability. Why is the school opting for a rebuild instead of a renovation? Pegasus makes improvements to campus annually, bringing every building along as far as we can. The campus is in the best shape it has been in over many years. We have reached a point where new buildings are necessary to meet the needs of our faculty, curriculum, and programs. Currently, the greatest need is a science and technology center. What is the total cost of all phases? The full cost of Phase I is approximately $15 million, which we aim to fund through the fundraising campaign, and cover the gap through a bridge loan. We estimate that the total cost of all phases, which include capital and endowment investments, is $24 million. Will we be able to add more students once the project is complete? We will not be able to add more students, and that is not part of the plan. All we’re doing is looking at enhancing the facilities for current students. If you’re interested in giving to the building project, we ask you to take some time as a family to think about how you might be able to make multi-year commitment to the school over and above your annual support. With a school this large, we want everyone to feel like a special part of this. We aim to work with all families until the end of 2019 to have a conversation about your support. The goal of the school is to approach every family in a meaningful way. Will Pegasus increase tuition to cover the cost of the project? Pegasus’s tuition will continue to increase at the regular rate. My children won't be here to enjoy the improvements on campus. Why should I contribute? At Pegasus, we are the recipients of generosity from families who came before us. To carry this legacy forward, and nurture the spirit of philanthropy in our community, we ask current families to leave your mark on campus for future generations by joining the campaign while your child or children are at Pegasus. How will construction impact student lives at Pegasus? We have pursued the phasing in such a way as to minimize disruption for students and families at Pegasus. We have the luxury of 14 acres, which allows us to keep construction away from existing programs. For questions about our Capital Campaign construction, please contact Mr. Jason Lopez, Head of School.